An amplifier is an electronic device used to boost up the strength of the weak signal. To match the input signal shape with larger amplitude, an amplifier takes the energy from the power supply and controls the output. It can either be a separate piece of equipment or an electrical circuit within another device. In our previous tutorials, we explain oscillators, transistors, semiconductors, diodes in detail. Here we are going to explain Amplifiers, amplifiers work, types etc in detail. Amplifiers are one of the most used circuits in electronics, performs a variety of functions in a great way. Without changing other parameters of the waveform such as frequency or wave shape, an amplifier increases the amplitude of a signal waveform. Have a look at amplifier basics. In all practical amplifiers, a number of stages are cascaded to amplify a weak signal to a sufficient level to operate the output device. 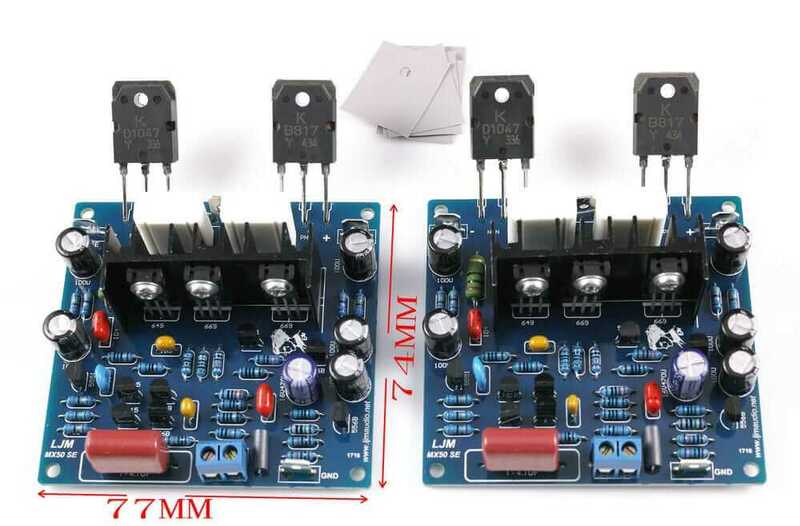 In these amplifiers, the main function of first few stage is only to amplify voltage and the last stage is designed to drive the output device. As shown in the block diagram above, in a public address system when a person speaks into a microphone, it converts the sound waves into electrical signals. If we directly fed this signal to the speaker, it will not be in a position to drive the speaker because electrical signal so produced is very low voltage. Due to this reason, the voltage level of the signal is first raised to sufficient level by passing it through a number of stages of voltage amplifier.This amplified voltage signal is then fed to the final stage of the amplifier to deliver the required power to drive the speaker. Finally, after this stage, the loudspeaker converts the electrical signals into sound waves. Therefore, a large number of people will be in the position to hear the speech. It is defined as the ratio of the output voltage or current to the input voltage or current. It can be said to be the relationship that exists between the signal measured at the output to the signal measured at the input. For amplification, it is designated by the symbol A and has no units. Depending upon the quantity being measured, you can calculate amplifier gain in three ways. It is defined as the product of the voltage gain and current gain. Note: For Power gain you can divide the power obtained at the output with the power obtained at the input. High Collector load resistance ( Rc): The collector load resistance should be relatively high. To obtain this condition we keep the lower collector current i.e. 1 mA. Higher Value of β: The transistor employed should have a higher value of β i.e. greater than 100. Hence, the transistor should have the thin base. R-C coupling: An RC coupling has a smaller size,smaller weight, lower cost and occupies less space, therefore, it is preferred to couple various stages of voltages amplifiers by this coupling method. Low input resistance ( Rin ): The input resistance of the transistor is quite low. The Larger size of transistor: When heavy current passes through the transistor, more heat is produced at the collector junction. To dissipate the heat produced, a larger size of transistors are required. Thicker base: Base of the transistor is thick because the transistor employed in the power amplifier is to handle the larger current. Low collector load resistance ( Rc): The collector load resistance should be of smaller value because if it has high value there will be more power loss in the resistor. Transformer Coupling: To transfer maximum power to the output device we have to maintain input impedance equal to the output impedance. To match the impedance of the loudspeaker to the output impedance of the amplifier, a transformer is employed at the output. 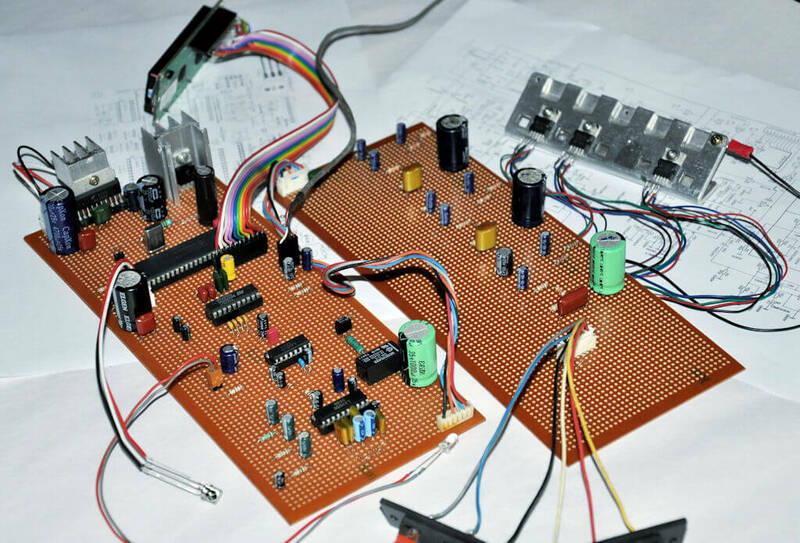 The comparison between power amplifier and voltage amplifier on the basis of coupling , collector current, output impedance, input voltage, output power etc is given below in the tabular form.